On Wednesday 6th and Thursday 7th July we welcomed the fantastic Book Bus from the Book People. The big red bus arrived at half past 8, full of exciting stories and wonderful gifts for us to buy. Each class spent time browsing the shelves and seeing if they could find their favorite books. Parents, families, children and staff grabbed themselves some brilliant bargains and even better books! Thank you for your support with our Book Bus event, your spending rewarded school with over £100 of new books for our school library! 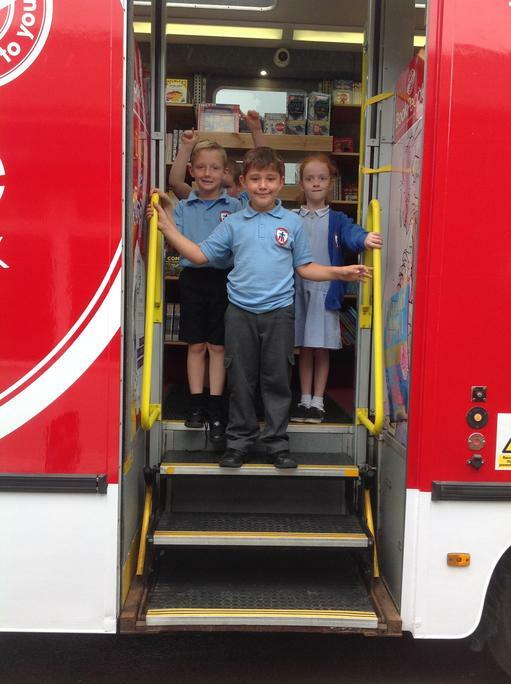 We look forward to welcoming the Book Bus again in November.